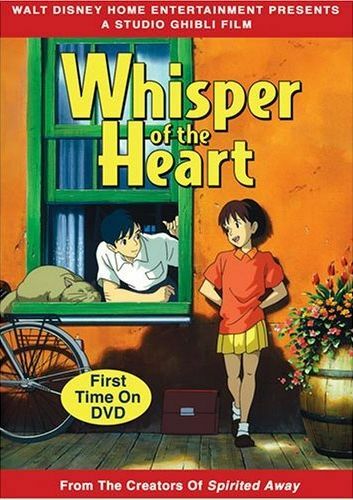 Whisper of the Heart follows the adventures of a Junior High School student named Shizuku Tsukishima. She loves to read and write, but her parents pressure her to put more focus on her studies and High School entrance exams. One day during a subway ride, she spots a mysterious cat. Following it, she ends up at a Curiosity Shop, which is owned by a kindly old man. She checks out the books at the store, and strangely every book she opens reads the name "Seiji Amasawa." As it turns out, the identity of this person is only the beginning of her forthcoming destiny.